OK, so maybe the reason is quite straightforward: they don’t sell enough of them. Even so, Ford’s move to ditch small cars and sedans from its US lineup looks too drastic – but actually it was a long time coming. Look at the models that are getting axed: the Fusion, C-Max, Focus, Taurus and Fiesta. All of them saw their sales taking a steady nosedive over recent years as customers started buying more and more SUVs and trucks. 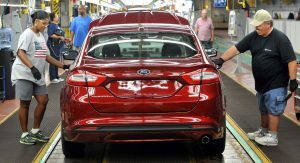 Ford had to make a business decision whether it would invest its money into underperforming models or trim the fat and instead focus on where the North American market is really booming. Are you really going to miss the Taurus? It’s not like we’re going to miss these cars, are we? Sure it would be great to get the new Fiesta ST, but a hot hatch with a three-pot under the bonnet isn’t really attractive this side of the pond. However, the biggest casualties for petrolheads are probably going to be the faster versions of the Focus, namely the future ST and RS. Given the Focus Active is going to be offered in North America, perhaps Ford will make an exemption for them, too, if we beg them hard enough – or maybe it won’t. Ford expects to save from all this slashing and hacking an additional $11.5 billion as the company’s CEO Jim Hackett targets an 8 percent profit margin by 2020, two years ahead of their original schedule. The remaining range will be updated with new hybrid-electric powertrains, and that includes models like the F-150, Mustang, Explorer, Escape and of course the long-awaited Bronco. 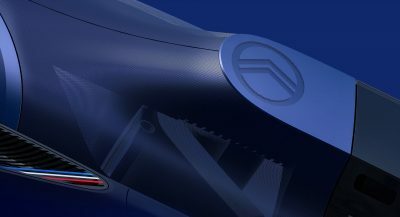 In addition, the company will launch an all-electric SUV in 2020 and promises to bring 16 battery-electric models to market by 2022. The sub-compact EcoSport will take the Fiesta’s place as the cheapest Ford you can buy. Axing low-margin, slow-selling models is nothing new in the industry, and maybe Ford should have pulled the trigger earlier if it believes this is the way to go. Its rivals didn’t follow suit and elected to keep sedans in their lineup. Guess we’ll have and see how this one plays out. going to be a smart move in the long run. I wish that weren’t true but, yes. Besides disagreeing with the decision 100%, and think it’s beyond dumb, DO WE HAVE TO GO THROUGH THIS AGAIN? We’ve beaten this dead horse too many times already. Isn’t there ANYTHING else to talk about these days? I’m just waiting for the next Tesla article. Yeah, Ive been waiting…. Like hours for the next Tesla article. Can’t wait! New Climate Milestone: 410 PPM level of our atmosphere currently recorded. Highest in history and continuing to rise with no signs of dropping even with our efforts to reduce combustion. Very serious. Tesla’s offset a significant amount of Co2 along with all other EV’s. You can’t see Co2 which is why it is not an apparent issue to an individual, but it’s very serious. Ford isn’t contributing much help at all. It’s even worse now that they will make more inefficient gas guzzling SUVs and Trucks only. You want a tissue for your tears??? 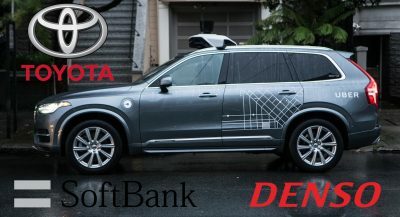 Except if you read the article it says, “In addition, the company will launch an all-electric SUV in 2020 and promises to bring 16 battery-electric models to market by 2022.” Please read before comment. You don’t have to click on the article. Just letting you know. Something tells me they’ll be axing the Active at some point too. I can see Ford doing something like the Accord Crosstour with either the Fusion or Taurus name slapped on it. The accord crosstour didn’t do that well. 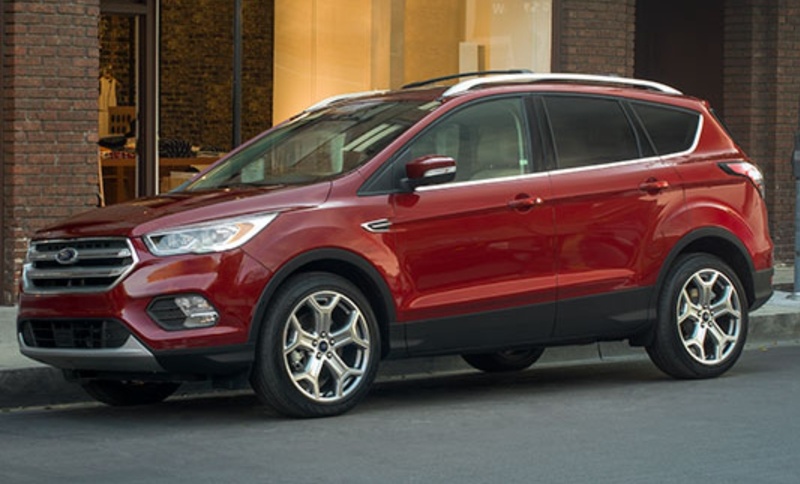 Also Ford had the Freestyle then named Taurus X which was replaced by the Flex which now has a 2019 model. I don’t think they’ll go that route. The Freestyle/Taurus X wasn’t really like the Crosstour, it was more like the Outback. The Crosstour didn’t do that well because it was hideous and poorly marketed as well as timed. Something stupid like that would probably sell loads today if whatever company marketed it as an affordable CUV coupe like the X4/X6. May I add, the Flex is also hideous. You may, and I kinda agree. If Ford had gone more retro with it, really made it look like that old school surf wagon it’d be a lot cooler and probably sold a lot better. The 10-speed is for longitudinal/RWD-based models. The new 8-speed is the best you could hope for in the immediate future. I mostly agree with you, and it’s definitely a gamble, however hybrid versions of their larger models should use less fuel in urban environments then their ICE equivalents and pure EVs make gas prices irrelevant…. They need to keep the Fusion and Focus and kill the Taurus and Fiesta. They should also morph the C-Max into an AWD tall crossover type of car. Don’t do anything to the Mustang, because it needs to stay. C-Max sold 18K units in 2017. That’s less than half of what the Taurus sold. Ford hasn’t advertised either in years. 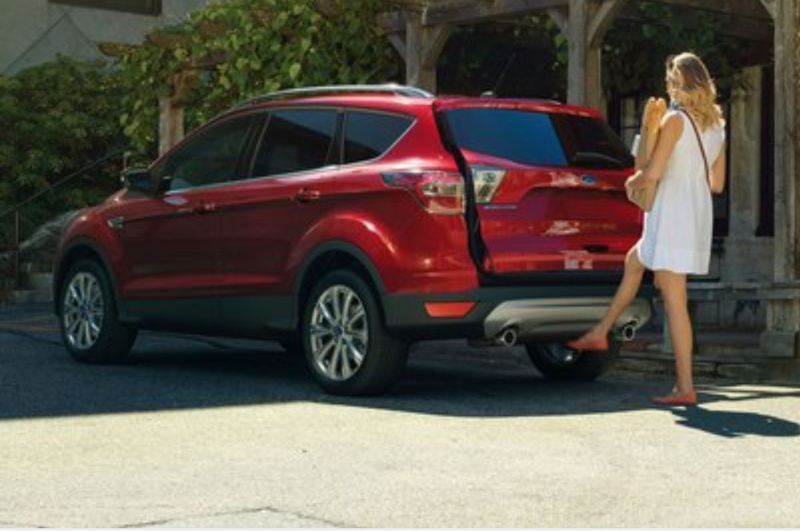 It wouldn’t hurt to have another in there with the Escape and Ecosport. I’m just bringing the C-Max up because of it’s already existing hybrid system. Too many Models add to marketing headaches, added development and tooling costs, just see BMW. Ford can add a LWB Escape using the Gran C-max 109.8 inch wheelbase, allowing the Edge to move up in size, since the next GEN Explorer will migrate to the new Rear/Front/AWD/4WD CD6 modular platform. Ecosport is your crossover version of the C-Max. HOW LONG HAVE PEOPLE BEEN “BEGGING” FOR THE BRONCO YET NONE HAVE BEEN FORTHCOMING? I find it hard to beleive the Fusions 200,000 plus yearly sales dont generate a profit. Maybe one reason car sales dropped is because the lineup is old. 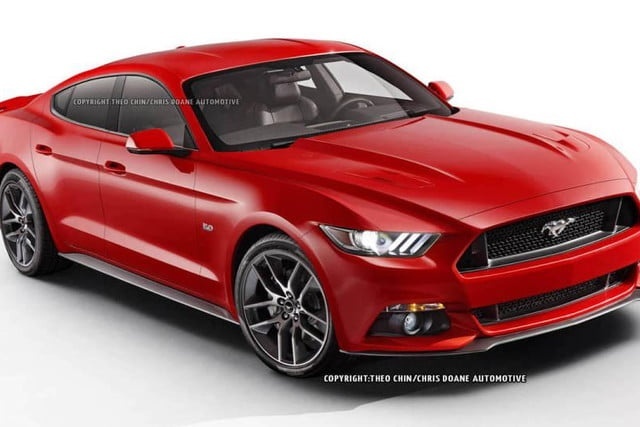 The newest Ford car is the Mustang new in 2015. I dont understand how a small and midsize sedan cant exist. Buick even has 2 cars. This is the weirdest thing ive ever heard. Ford Motor Truck Company. What the hell. Guess I’ll look at that Chevy Malibu or new Accord. 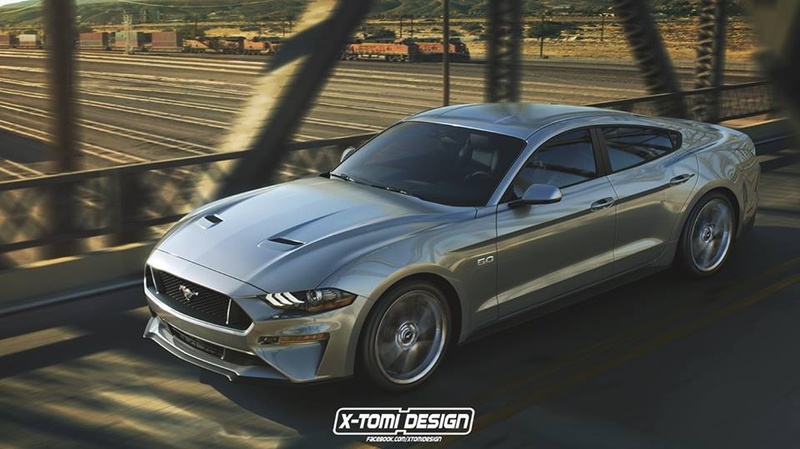 Kill the Fiesta and Taures, build the Focus and Fusion on the same unified CD6 platform that will be used on the Next Mustang as for a large sedan how about a 4 Dr Mustang Sports Coupe call it the Grand Turino and 4 Dr Mustang Sedan Galaxy. 6.5 million coupes and sedans are still sold in the USA, but even still we the USA are not FORDS only market, sedans are still Popular in other parts of the World. 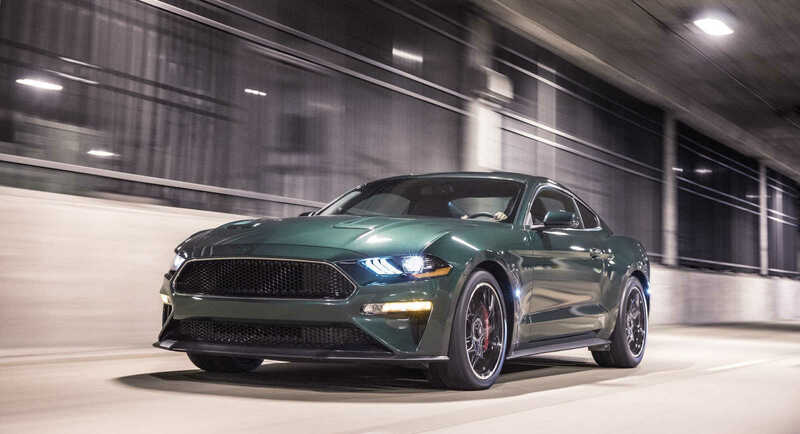 As for a 4DR Mustang that has been a back room proposal at Ford since 1968, and at this time with the Mustang being as popular as it is, many say it’s time for a 4DR Mustang. The goooooooood stuff. 😉 To be fair, the UK Granada wasn’t horrible for the time period. But the US Granada…hoo boy. Why not it just be a 4 door sedan and not a Mustang. Becouse Ford has damaged there traditional 4 Door Sedans in the USA through inept marketing. 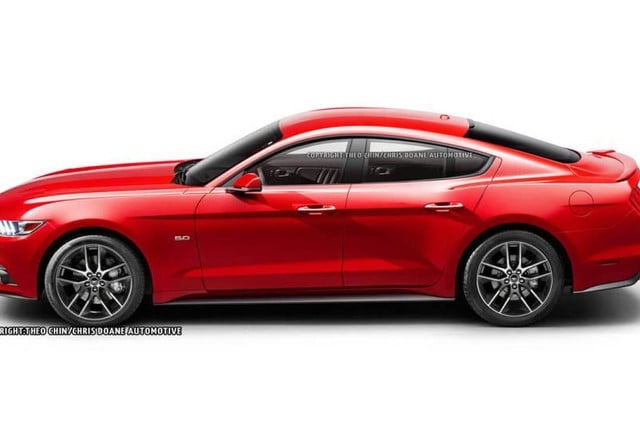 So a sedan marketed under the Mustang Brand would sell, there could be a short wheel base 4DR sports Coupe-Sedan with Suicide doors marketed as the Maverick, a Traditional 4DR Family Sedan marketed as the Falcon, a sports wagon marketed as the Del Rio Ranch Wagon, a long wheel base 4DR sedan marketed as the Galaxy LTD Deluxe and a sports wagon marketed as the Country Squire Deluxe. They are old historic names but atleast they are not damaged names and they would be new to the current generation and bring nostalgia to my generation, I still have fond memories of our family going for drives to Santa Barbra, San Diego, Las Vegas and the Grand Canyon in my dads Country Squire. Mom taking us to Disneyland in her 1978 LTD Brougham 4DR sedan, God I just remembered Dad taking my sisters and me to Hanna-Barbera’s Marineland in Palos Verdes in 1975 in his 1974 Gran Torino Brougham 2-door coupe, yes very fond memories. The new Falcon should be just like the one in Australia and then it should have a Coupe /Fastback version (like the Audi A7, Kia Stinger), called the Torino or Gran Torino. Ahh, are you STEALING MY THUNDER FROM DOWN UNDER, just kidding yes, that is what a “Hardtop” was in them olden Days, a Fastback, and the Gran Torino would be a perfect name for a 4 DR Coupe-Sedan and a 2DR Executive Luxury Coupe could be calles the Capri Torino. Let’s not waste names. The 2 door should just be called Torino. Capri is the perfect name for a coupe/fastback smaller than the Torino, that’s sized like the BMW 4 series & Audi A5. I like my sporty compact cars. I’m 5’6″ so I prefer them, just the right size for me. Going to be keeping my Elantra Sport for quite a while. Ford can do what they want, they will just pass off sales of sedans to other manufactures that will continue to make them, for people who have no desire to own anything else. Focusing on fewer but better-executed models is smart. Its sad to see Honda, Toyota and Mazda somehow able to make great sedans at a profit while Ford can’t. But mostly we care that Ford is on a flourishing path for the long-term. It is clear the market craves and is happy to pay premium prices for: 1. SUVs; 2. Luxury brands and; 3. Pickups. Mass-market sedans – especially low-prestige domestic models – just have a tough time enticing retail buyers. This outcome is not by chance. Decades of mis-management and under-investment in these segments enable competitors to establish themselves. Now they dominate. And so its time to pay the piper. Bye-bye, Fiesta, Focus, Taurus and the rest. Was nice knowing ya. 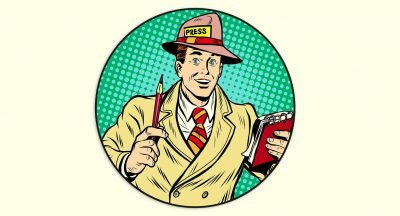 Someone else on here cited (I think) a CarandDriver(or maybe Motor Trend) article that stated that Honda was losing money on every Accord they sell. Plus you just can’t do much about consumer tastes, which prefers an Accord, Altima, or Camry over the Sonata, Legacy, Fusion, Malibu, Optima, Mazda6, and Passat. Especially if you’re VW, Mazda, or Subaru, you’re probably losing a lot of money on your sedans as people prefer to have one from the big 3. The market is too saturated and Ford doesn’t offer anything exceptional. 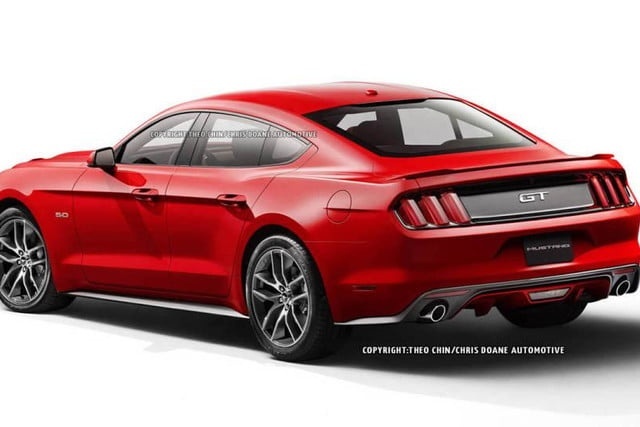 Did Ford ever think that one of the reasons vehicles these vehicles were not selling was they were not good enough compared to cars like Accord, Camry, Civic, Corolla, Altima, Mazda 6, Mazda 3, Optima, Sonata, Forte etc.. Ford could have made a 4 door sedan version of the Mustang instead of a an old Volvo based Taurus. They could have offered a better auto transmission in the Ford Focus and offered more rear interior room. They could have developed the C-Max into AWD. What will happen if fuel prices shoot up again. Will people absorb the fuel cost of a big truck or suv if gas goes up to $5.00 a gallon? The Mazda 6, Optima, and Sonata all sell 1/3 of what Ford sells with the Fusion. 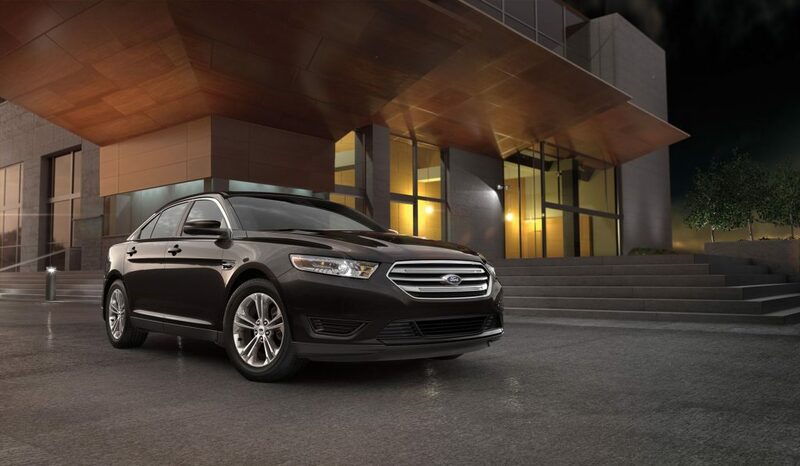 The Fusion is a very competitive car, coming in fourth place behind the Camry, Accord, and Altima. You’re forgetting that Ford will have fuel efficient utility vehicles, from the Escape to future hybrid SUV/car offerings. Great looking but a next to no back seat sedan is a no sell with most consumers. That back area looks barely big enough for car seats and toddlers. These are just concepts and art work, but let me ask you ?. Have you been in the back seat of an Audi A4, A7 or MB CLS so this is just concepts but who knows, it might sell. I own a 2016 Mustang GT and it may as well be a 2-seater. The back seat is useless and a 4-door would need to be stretched so much that it would look strange. The renderings look okay but more stretching would be necessary to fit normal sized adults. i like this rendering. Makes an aggressive 4 door sedan. That one decision to use the dual clutch bit them and bit them hard. One thought that continues to cross my mind as I look at the move to car-based SUVs and crossovers is how similar they are in layout to earlier cars in terms of ride height, entry height, sitting position and other factors. It seems to me like the trend for the first 100 years of motoring was to gradually lower cars (and to a lesser extent, trucks), and just assume drivers and passengers would happily squeeze and crouch themselves in. Buyers and lessees seem to be saying they’d rather not. That said, marketing also always plays a part. As I’ve said before, after getting cars into the mass market, they started convincing us in the 1950s that what we really wanted was sedans, coupes, and wagons with lots of chrome, and streamlined and lowered compared to what had come out in the 1920s through the 1940s. In the 1960s, they lowered cars further and added muscle. In the 1970s, with the fuel crisis, smaller was better. In the 1980s, they convinced us that wagons were passe’, and that what we really wanted was minivans. To be fair, minivans were useful, but crucially, they were also mostly truck-based in those years, allowing for lower manufacture cost and fewer regulations. Then minivans attracted the attention of regulators just as competition and demand for more comfort drove buyers toward car-based minivans. So SUVs–still mostly truck-based at that point–became the new marketing focus for manufacturers. Now SUVs are unibodied and largely regulated, but they have similar ergonomics (with better seating and packaging) to what came long agon. Gas prices have been close to $4.00 per gallon here in the SF Bay Area for quite some time and SUVs still rule in the vehicle sales game. I said the SF BAY AREA, not the city of San Francisco. There are several counties and dozens of cities here in the Bay Area and, yes, some very affluent and many middle and lower middle class areas and over 7 million people. The preferred mode of transportation amongst middle and lower middle class is still SUVs often bought on the used car market. I’ve lived here most of my 60 years and have witnessed the mass exodus from sedans to SUVs despite $4.00 per gallon gas. There are plenty of smaller SUVs that get reasonable or even good gas mileage. Maybe not, when you look at the alternatives. Jetta is a Focus competitor anyway. Passat is Fusion competitor. I’m having a hard time forming an opinion about the Malibu. Last one I drove was a 2013. It was a decent vehicle, but nowhere near as nice to drive as the Fusion. Maybe do a high end luxury car (something better than that eyesore Continental) and a sports car (Mustang )…and call it a day. your wrong, the continental is the best car today. Agree with it all except Fusion. It shares majority of its underpinnings with Edge and sold 200,000 units in the US last year. Even if that falls to, lets say 80,000 that’s a pretty good number for what is really just another Edge body style. Or perhaps, just perhaps, the cars just weren’t competitive with cars from other automakers? Ford has a reputation for neglecting their cars, letting them rot on the vine, while putting most of their effort into trucks and niche vehicles like the mustang. People are still buying cars, but they are buying formats of cars that are different from their standard three-box sedans. The Fusion is still one of the best looking cars on the road today, but I can’t think of the last time I saw a Taurus that wasn’t a police car. So how many employees are they firing this time? Then they should perform the ultimate cost reduction plan; stop making cars. No costs means maximum profit, right? Well, I guess we’re NOT done talking about this ad infinitum. My major problem with this is that Ford, GM and FCA all have troubles turning a profit on slower selling models, when EVERYONE else doesn’t. Why? I suspect – here we go again – UAW wages and benefits. Here we go again … pretending the UAW-factor doesn’t put them at a cost disadvantage. Hey – you brought it up. I think this is a smart choice for the Taurus and the Fiesta, but the Focus and the Fusion are necessary. Ford has to have a product in those two key segments, even if it’s not selling well at the moment. It seems to much of a bet, especially with the Fusion. I think Ford is heading the right direction.models like Focus and Fiesta will never be able to compete with Japanese design and reliability so there’s no point chasing sale in mid and small size car. Performance car is different which is always a niche. Performance is were Ford could have the advantage. Will likely help to increase market share for the Asian and European Manufacturers then…especially as those are more reliable with better warranties and higher quality too…with few exceptions. I’m almost sure my next sedan will be a G80 Sport with new update around 2020. Why would Ford leave car rental and police/government sales behind??? Seen how many cop cars are Explorers lately? Cops like SUVs, too. Yeah, there are tons of Explorer squad cars here and a bunch of Tahoes too. Ford won’t be the only ones to do this. This is a long-time trend coming to conclusion. Woe betide those of us who don’t like SUVs but the market’s had its say. No need to praise Ford since FCA already did this over a year ago. Well, I guess it’s probably a smart business decision on Fords part. At least in the short term. What happens when/if the economy tanks again and fuel prices spike again? Maybe they’re hoping that 48V hybrid tech that’s on the horizon, will make their suv’s super efficient so as not to be an issue. In a way their sedans kinda sucked. They were half assed efforts. Don’t get me wrong, they were quality products that were reliable but that’s it. The Fiesta was too small for the US market. I did think the Focus was a decent enough car and the new one coming out is a great looking car. I’d buy the new one (an ST version) if it came to the US. I always thought the Taurus/500 was total crap. A reliable car, yes. But seriously a terrible (and old) design. I could never understand how such a big car could have so little room inside. Especially the front seats. And a VERY awkward looking design. Heavy! And unless you put a ton of power under the hood, a very poor performer. The only good sedan they had in the US was the current Fusion. It had nice styling with some Aston Martin cues. But even that was 85% complete. It needed a WAY bigger moonroof, a driver oriented instrument cluster, a GOOD AWD system with some kind of LSD in the rear, at least a 2.3T engine, a 8,9 or 10 speed manumatic transmission and maybe more interior color options with the higher end models. 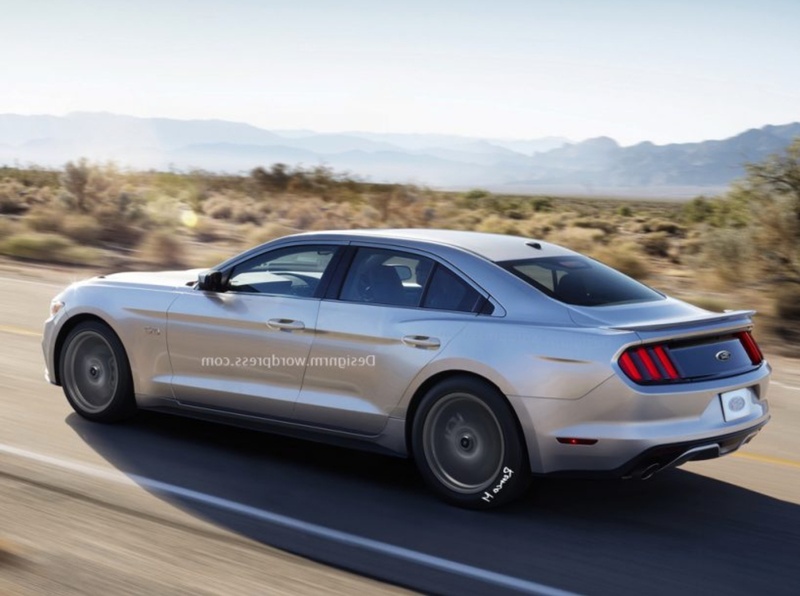 My point with all this is, if Ford put more effort in their sedans, maybe they would have sold more of them. And not just them but Chevy and some of Dodge/Chrysler too. For decades people have been forced to buy, mostly boring, crappy sedans so it’s no wonder why they are not selling well. The really nice sedans/hatchbacks can be very expensive, relatively speaking. Anyone here remember Fords marketing B.S. back in 2004 2005? “Year of the car!” Well, if that’s the best you can do then no wonder sedans failed. And then there was the issue of stealing sales away from the new and improved Lincoln. I’m really sad not to see a new Fusion or a new Taurus here in the US. Personally, I think they might have been really good and feature rich cars that I would have been interested in. But I guess it doesn’t matter now, does it… I will say though, I am looking forward to the new Explorer. I think an ST version will be very interesting. Hopefully it’s not too expensive. yep. smart move, and ahead of most others in doing so. 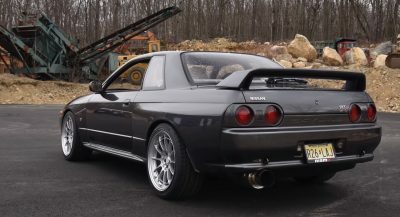 then again, this also might create a need for others to keep some sedans, so its a “win win” move. and no, I am not suggesting that was Fords intent, but they obviously must know that will be a side result. as all former car people who like SUV’s now. and they are just not saying why. fuel price will be irrelevant when you plug your car in at night. Maybe those long haul trips but I do not think people think of that especially when they want a car to get them from point A to B.
I love my Focus Titanium, it has a lot of punch. Also, I have yet to have it fixed. Yes there were recalls but I call that a plus since I got a new Transmission in the deal. I never minded the old transmission though. You can’t look at it any other way but Ford may as well stick a sign around their neck saying FAILURE IN SEDAN MARKET – CAN’T COMPETE! The big problem here is that these days when you get out of a market segment, you can’t get the IP back to design and build another one competitively. So this is the beginning of the end Ford. It was nice knowing you. I own three Fords now and love them dearly. I may get a Mustang, but then they could also be my last Fords. Is a Mustang a Ford? 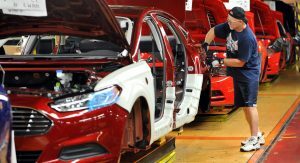 if Ford’s move made sense, Honda, Toyota, and Nissan would not have created all-new versions of the Accord, Camry, and Altima. That is what Ford is really running from: stiff competition and innovation. Unlike Ford, GM, and Chrysler, all other car manufacturers refresh their models regularly. Honda and Toyota launch new versions of the Camry and Accord every four years. Other manufacturers refresh their models frequently, too. None of the cars that Ford is dropping have been refreshed since they were launched several years ago. All Ford does is stick new grilles and taillights on their cars. Instead of dropping cars, it should be launching an all-new Fusion, Focus, and Fiesta.